So, we’re at issue 13 and isn’t this a corker! The free die, Georgina is just gorgeous. She will lend a touch of class to your work and the die is so versatile. Don’t forget the additional mat die that comes with Georgina to create beautiful layering on your cards. So what else can you expect from Issue 13? We show you how to create an amazing treasure chest, maybe for those little pirates or princesses or even some chocolates. Make a gorgeous petal box with our stunning 3 Butterflies, or why not try our new improved shoe! Don’t let it fly away! Join our Little Mermaid under the sea for our free shell template and project! 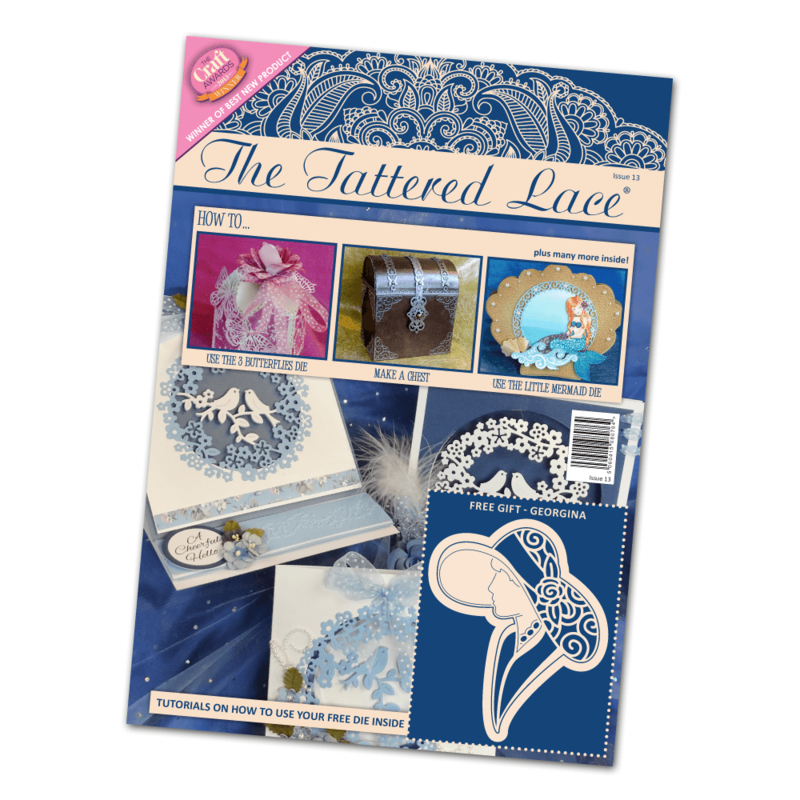 As usual, the free papers in this magazine are definitely not one to be missed, from cute bunting to stunning garden scenes they compliment the projects perfectly.